This stunning painting would add a bright pop of warmth to any space. 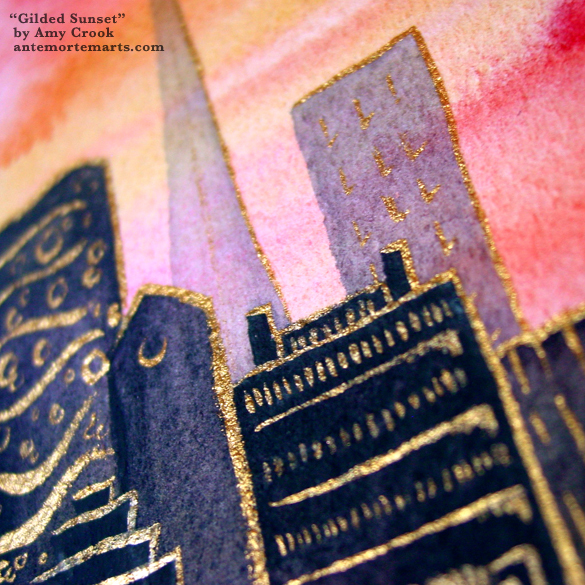 Rosy metallic gold sparkles off the shadowy buildings, backed by a brilliant sunset in reds, oranges, and pinks. You have to see this one in person to really appreciate its beauty. 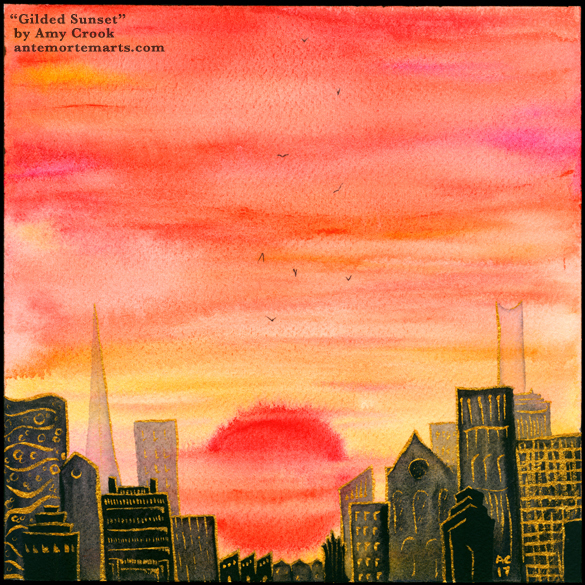 Limned in light, this city skyline frames the red sun perfectly, hazy clouds making the sky above seem endless as it fades from gold to red. The sun itself is a glowing red sinking toward the horizon, just about the vanish for the night. A flock of birds floats above it all, circling in the sultry sunset. 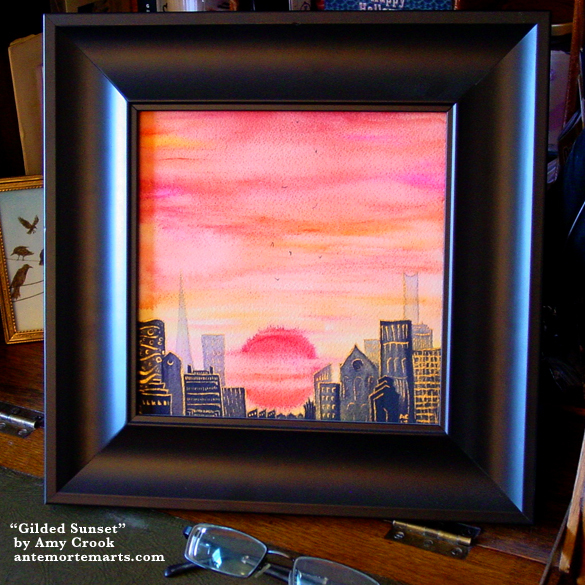 Above, you can see the beautiful metallic watercolor shining up close, the warm rose gold a perfect complement to the brilliant sunset. Below, the painting is framed and waiting for just the right wall – is it yours?